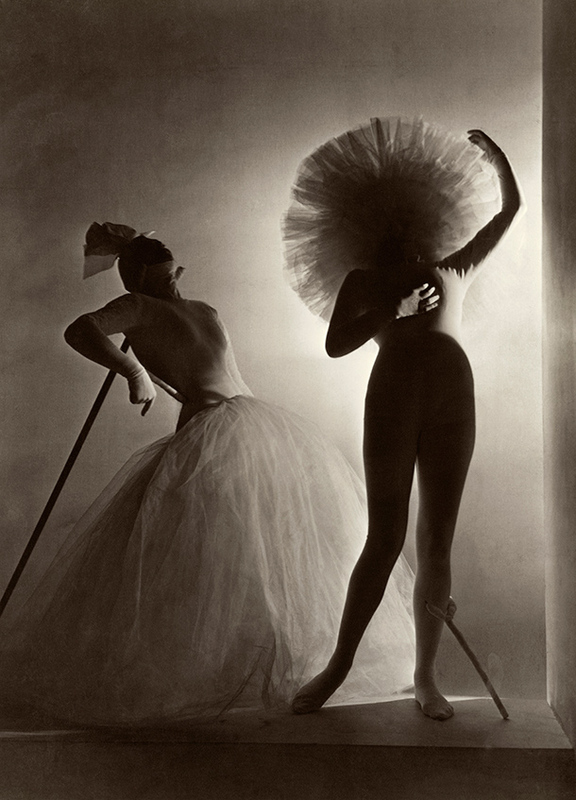 As many reviews have noted the V&A’s current exhibition on Horst P. Horst is a series of master-classes in photography, composition, lighting and style. Horst was a fashion photographer during 1930s to late 1980s whose career spanned across the transition from black and white to colour and saw the rise of professional models. Although his photographs were often used to create Vogue covers many were used for adverts of corsets, nail varnish and holidays. This commercialisation does not mar the beauty of his creativity but instead makes the viewer marvel at his ingenuity. As Horst became increasingly popular in fashion circles he also became a regular in other sets. 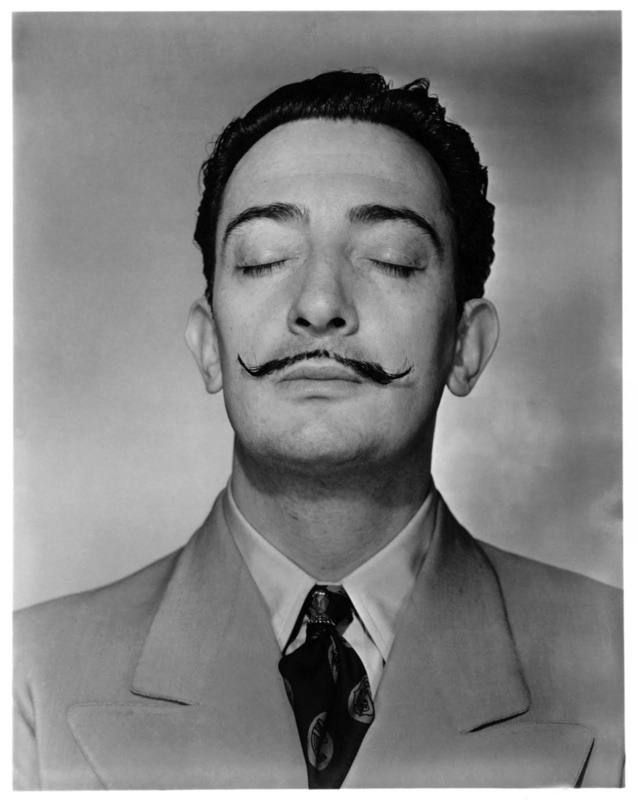 A growing interest in Surrealism is evident in his photography, not least in the photograph of Salvador Dalí! There are women covered in lobsters and a whole series of Surrealist still lifes which create a confusion of reference in comparison with the simply lines of his earlier work. They also led Horst to interesting collaboration as Dalí creating the Surrealist ballet costumes, which were never used due to their impracticality, that Horst photographed in such interesting poses. 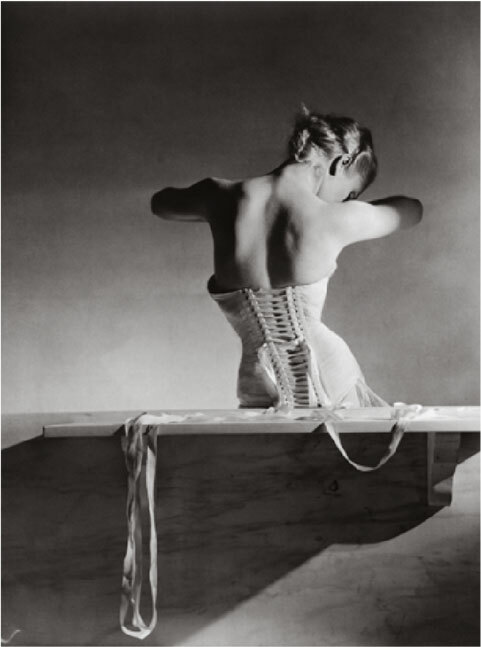 Horst was heavily influenced by classical aesthetics and often portrayed his models as statuesque whilst also caught in motion. The exhibition also includes examples of the clothes which Horst photographed and these include outfits by Coco Chanel, Elsa Schiaparelli and Jeanne Lanvin. This provides a welcome contrast to the early walls of black and white photographs. It also demonstrates how difficult it must have been to create the look of constant movement that Horst projects throughout his photographs as many of the outfits are carefully structured and stiff. My one complaint with the exhibition is that it feels unevenly paced. The first room has an overwhelming amount of photos lining the walls and a great deal of information to absorb. As soon as this room is left behind however, the following rooms feel much larger and spacious with the photos evenly spread out. I also felt that the section on Horst’s nature photography felt slightly out of place as there was a reasonable amount of repetition which slowed the momentum of the exhibition down. If it had been placed closer to the Surrealism section this focus could have been explored more interestingly. However, this did not dim my enjoyment a great deal as there remained other aspects to enjoy, in particular Horst’s photos from his travels. The exhibition recently opened and so will be open until 4 January 2015. Such a range of photographic skill and technique is unlikely to be exhibited so careful again in the near future so there’s definitely a reason for not putting off a visit! This website offers an excellent preview of the V&A’s offering.